There are many vignettes, or small stories scattered throughout Harambe in Disney’s Animal Kingdom. Often times, the messaging of the land in shared through the art, postings, and signage of the found on the walls everywhere in Harambe. 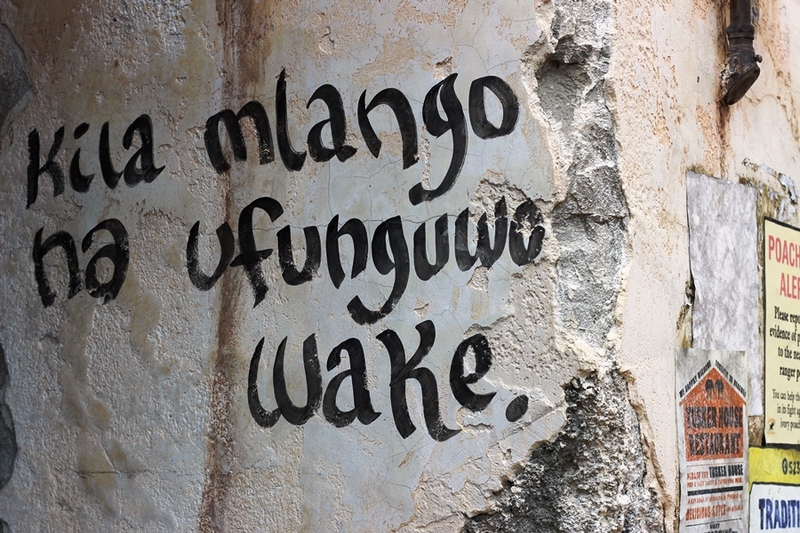 Today, let’s look quickly at one such message found on a wall in the Harambe Market. 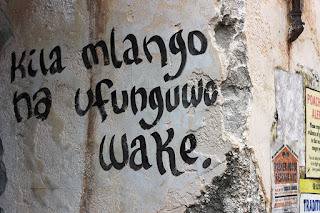 Like much of the graffiti found around Harambe, it is helpful if you know Swahili. Since I am not, I lean heavily on translation sites to get me close to the message and then begin the work of searching Swahili speeches and proverbs for keywords to get me to where I am going. “Kila mango na ufunguwo wake,” is painted in bold black strokes of a sure hand with nothing fancy about it. The message is in, as stated above, Swahili and comes from Kenya. The proverb translates to, “Every door has its own key.” The breadth and width to which this proverb has been utilized is amazing, but in recent times it most often comes up in educational training. The proverb illustrates how every child, like a door, is unique and their potential will be unlocked in similarly unique ways. They may each learn differently or have different interests, much in the way keys have different notches for the lock pins, but they all have value and can be taught if a teacher is willing. While the proverb most often ties in with education, I think it is easy to see its application across a broad spectrum of fields. As with most proverbs, you get out of it what you put into it. Is there a scenario you are facing right now, your own personal locked door, that you just haven’t found the right key for? If we are to heed the words in Harambe, your persistence will pay off in finding the key that opens your door.